These “Monthly Messages” encompass the subjects of spiritual awareness and the sacredness of life—to further well-being, harmony, and peace for all beings—to co-create in divine and loving ways, diving ever deeper within the realm of our God-Self. It is a time for every human being to truly take responsibility for what he or she creates by moving into an awareness of energies and frequencies and intentions. It is a time to discover the qualities of the Heart within and without—the Heart of God or consciousness of God living as a divine design within the core essence of our being—a design intrinsic to the essence of all creation. • Prayer and meditation of the month: I move into an awareness of a sacred space in my heart—it is a space of pure love, compassion, and reverence. From that sacred space of love I create in divine ways moving forever through Doorways of Light. This light nurtures me and loves me. May the peace love light of God—all qualities of God—permeate my mind and heart and the mind and heart of all beings in all realms, dimensions, and time. May all human beings awaken to the sacred beauty of their true identity and true Self—their God-Self. May peace, compassion, and reverence prevail now and forever in all minds and hearts—in my mind and heart. • This month I wish to introduce my books: “Twelve Doorways of Light: A Portal to Your God-Self” and “Sacredness of Life” are 2 books published by Balboa Press, a division of Hay House. “Twelve Doorways of Light: A Portal to Your God-Self”—this book is for you if you are looking to develop your creative gifts in joy and sacredness, listening to the voice of your heart, inviting the love of God to lead your path, to be of service. 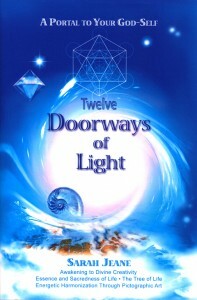 These Twelve Doorways of Light are expressed in divine messages awakening the heart to embrace love unity consciousness from awareness and peace leading to a Portal—anchoring the Light upon the Earth plane to ease the energetic awakening of our Light Bodies—harmoniously activating the interplaying link between the physical world and the divine spirit world in Love and Light. 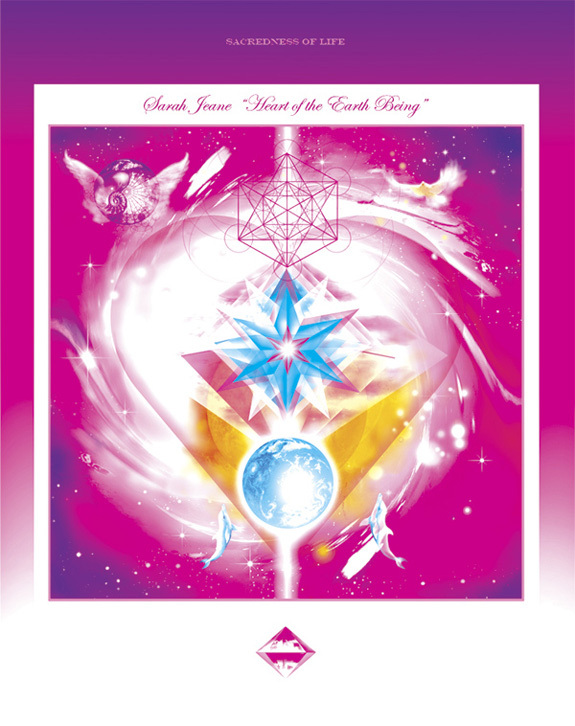 It is an energetic spiritual Portal intended for divine work reaching every human being and being as well as global consciousness in furtherance of peace and harmony. This book presents 262 pages of spiritual insights supporting your journey to experience your God-Self and the Sacredness of Life. 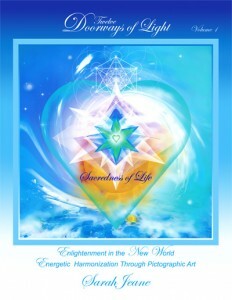 These messages are inspired from a personal spiritual journey, encompassing my experience as a spiritual practitioner. “Twelve Doorways of Light: Sacredness of Life”— is a color book presenting pictographic art. This art is also visible on my website. 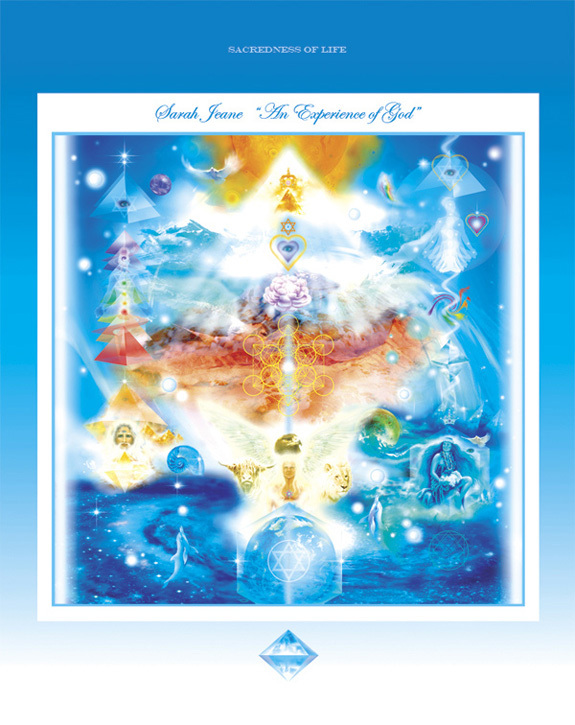 The artistic emanation and synergy of these Twelve Doorways of Light leads to an extraordinary Portal of the most luminescent Light, an energetic pictorial representation of the Tree of Life, the ultimate Portal to the enchanted pathway to God—a Divine design embedded within all Beings and in all Creation. This artistic expression reflects the messages presented in ”Twelve Doorways of Light: A Portal to Your God-Self”. This pictographic art invites you to navigate within the sacred realms of your inner divine beauty, the Heart of your Soul—your God-Self—to discover the Sacredness and Beauty of your being and in all Life. As a new era is unfolding all illusions of dualities are with time fading away. This allows the one consciousness of the heart to awaken—to be recognized as Love Light Source, activating the Tree of Life within us and within all life; it is the birthing of a new world. A consciousness of the heart reflects and holds the quintessence of all life; it is joy, peace, light, love frequency and synergy. May these messages and images open your heart and inspire you to believe in peace and to live in the peaceful presence of your being. You may view on my website the links presenting my books including the links to the publisher if you wish to purchase the books. Please enjoy below a couple of images included in the color book representing qualities of God or aspects of God embedded within our divine design—the Tree of Life. This artistic expression is inspired by the beauty, divine design and essence of life, inviting you on a journey of the Heart.